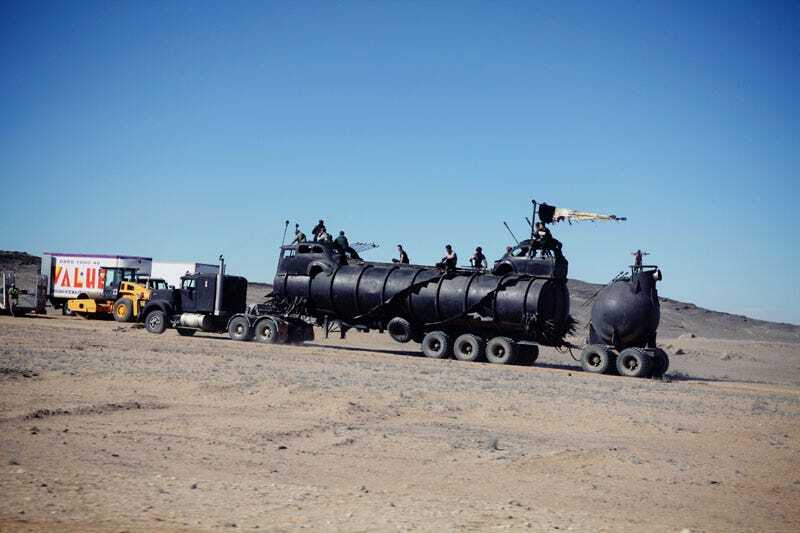 First Set Photos from Mad Max: Fury Road! Check out your first glimpse of a huge, hellish vehicle from the fourth Mad Max movie, now filming at last after years of delays. What do you think this monster is? In the photos below, you can glimpse the "Wives," the new female characters in the movie, sitting in what looks like the cab of that same massive juggernaut. These photos come from the Super Hero Hype forums, via Ain't It Cool News. So do you think they're actually going to be able to complete this long-delayed movie? And is Charlize Theron this film's answer to Tina Turner?